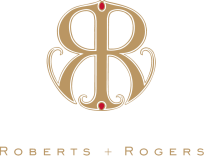 Thank you for joining the Roberts + Rogers Partner's Club! 2014 Roberts + Rogers Howell Mountain Cabernet, $75 Btl. (originally $100) - Use Code: rogerhowell14 SOLD OUT! You may utilize these codes when you purchase our wines online. Enter the codes in the special offer box (see example) at checkout. Thank you again and we welcome you to the Roberts + Rogers Family!